Blemish Treatment Fact: Don’t Stop Using Blemish Skincare When Your Skin is Clear! So you found the right blemish treatment regime and your skin is finally clear – congratulations! Murad knows that finding the right solution to get clear and stay clear can be an emotional, mental and physical challenge. Unfortunately, for many people, once they finally get clear skin, they stop using their blemish treatment products because they think that their blemish problem is solved. The truth of the matter is that, for most forms of blemishes, you’ll need to continue using your regime even after you get clear skin. If you don’t, you’ll probably see those pesky breakouts again. The first thing you need to know is that there’s really no cure for blemishes. You can create a skincare regime that gives you clear skin, but blemish-prone skin is biological and can’t be changed. The cause of breakouts – clogged pores – is typically due to a hormonal overproduction of skin cells and sebum (oil) being created. When you treat blemishes, you are working to unclog or prevent clogged pores, but your body is still “wired” to overproduce the oil and skin cells that clog the pores. When you achieve clear skin, you’ve effectively created a complexion where no pores are clogged. But if you stop working to keep your pores unclogged, they’ll simply get clogged again and you’ll end up with blackheads and inflamed blemishes. Pores never stop clogging and if you don’t maintain a regime that keeps them clear, your spots will return. One way to ensure that you’re still working to keep skin clear and pores unclogged even when your complexion appears clear is to use a clarifying facial cleanser that includes a topical spot-medication like Salicylic Acid. We’re sure you’re elated your complexion is clear, but keep in mind your skin is made up of several layers. The skin you see when you look in the mirror (the epidermis or top layer) is actually already dead skin that is flaking away every day. 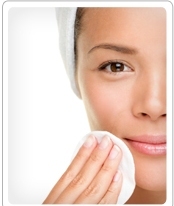 The skin that needs to be healthy and free of clogged pores is actually beneath that skin. If you don’t maintain a healthy blemish treatment regime that focuses on exfoliating away debris and dead skin that clogs hair follicles and pores beneath the surface, then eventually that skin will work its way towards the surface of the epidermis. When it does, you’ll once again experience blackheads and blemishes. Remember that in many ways it’s the skin you don’t see that you need to be treating! Get beneath the surface of the skin to exfoliate away debris and dead skin cells that clog hair follicles and pores and lead to blemishes. This clear treatment gel contains Salicylic Acid to get beneath the surface of the skin and prevent the clogged pores that cause breakouts. If you have hormonal blemishes and are female, your breakouts may be “cyclical”: tied to natural rotations in your hormone cycles. If that’s the case, your clear complexion may be as much the result of a “down” point in the cycle as it is the result of great blemish treatment products. If you stop your regime, you may find that your skin breaks out again the next time that you have a hormonal surge. For women, it’s very common for breakouts to happen around the time of your menstrual cycle and reduce during the remainder of the month. If you take a break from your blemish treatment regime, you may not be combatting cyclical hormonal acne effectively. Always remember that when you’re treating spots or any other skin concern, consistency is key. Making sure that you follow through with your daily and nightly regime is the only way to get clear, stay clear and create blemish-free skin that’s Better Every Day®. 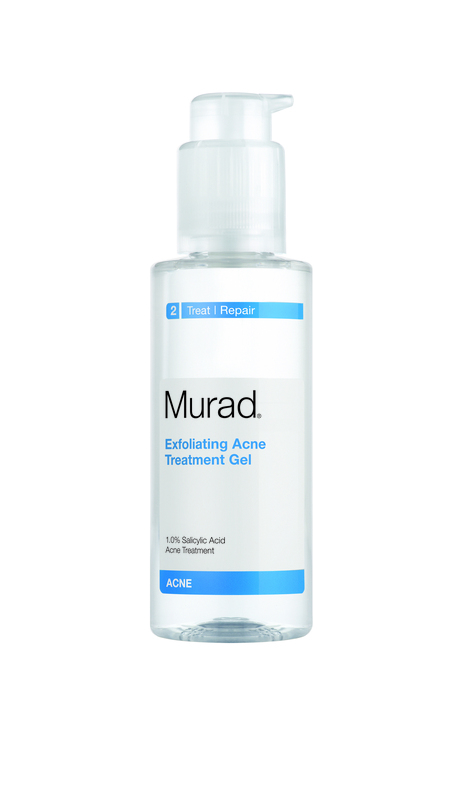 This entry was posted in Acne and Spots and tagged Acne, Blemishes, regime, Spots by muraduk. Bookmark the permalink.